The ultimate solution to feeling calm, capable, and confident as you ride the waves of love, work, and life. So, why Meditation and the Moon? Whether you realize it or not, you're being affected by energies within and around you, at all times. Sometimes these effects are so extreme, that if you're not prepared they can send you into a mental and emotional crisis! The more wisdom and knowledge you have of these energies, the more power you have to not only survive them, but use them to your advantage. 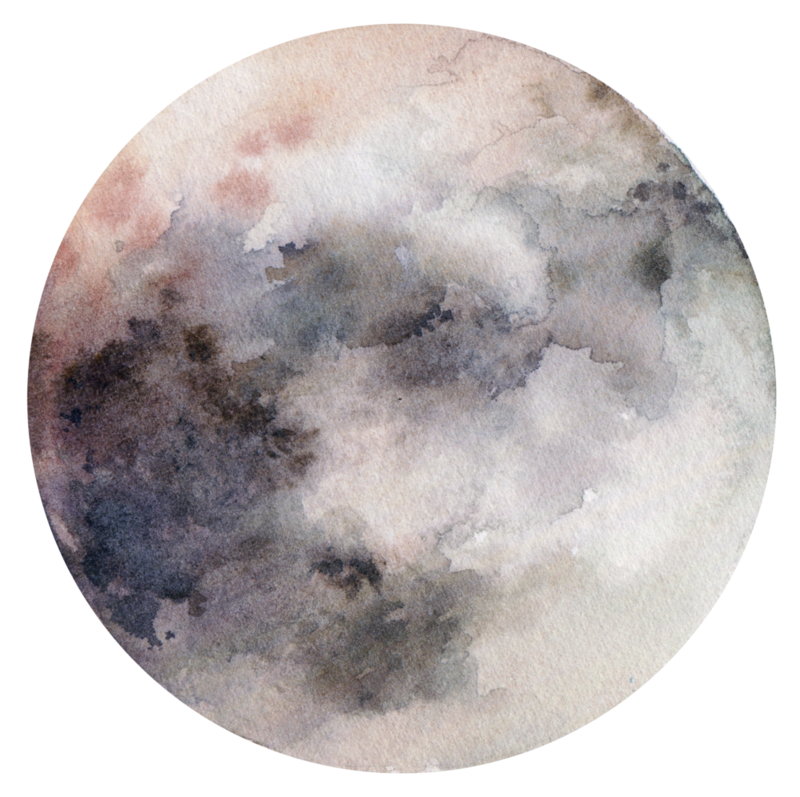 Each month the moon serves as a very powerful reminder to not only pause and honor all energetic cycles, but also to use the power of the moon to bring alignment, transformation, and healing to you (and all aspects of your life). In order to work with the energies within and around you, you must first be aware of them, and then have the tools to consciously work with them. That's where meditation comes in! Meditation is a powerful tool to: first, become aware of the energies affecting your mental, emotional, and physical state in any given moment; and second, actively use or change those energies to bring about deep insight and positive change in your life! A monthly group MOON and MEDITATION RITUAL (value $37): to align you with the current energy of the earth, go deeper into meditation, connect to your inner wisdom, gain insight into any subconscious blocks and release them, set new intentions, and whatever else spirit guides us to do that month. (This call will be virtual and recorded for those that can't make it live). Discounted Sessions and Products (value $100): as a member you'll get discounts on any of my programs, I Ching Clarity Readings, and Meditation Mentoring Sessions, to get more personalized support on your meditation and spiritual journey. Plus a growing Library of Meditation and Spiritual Resources (value $100+): to help you continuously add tools to your meditation tool-kit for peace, focus, clarity, enhanced intuition, manifestation, and any other meditation benefit you crave! *As I continue to add more resources to our community (like trainings, guest teachers, etc. ), the value and cost of this membership will increase. But as a current member, you’ll be locked into the $27/month until you cancel! > I Ching Alignment Session: This is a powerful way to have a deep conversation with the divine and your inner wisdom, to get guidance and answers. Regular I Ching readings help you stay aligned with your goals and purpose + see and release subconscious blocks as they arise (not months later when they’re wreaking havoc on your life). Those who have regular readings experience much more flow in their lives, get stuck way less, + achieve their goals and manifest their desires at a much faster rate! > Meditation Mentoring Session: This is a way to get more personalized meditation support. There are many different meditation types + many different ways to practice each type. To create a practice that feels good for you and gets you the benefits you desire, it's important to focus on the right type of meditation for you! Together we'll design practices that support you fully with whatever is currently going on in your life + integrate easily into your lifestyle (so you actually do them). What's the cancellation and refund policy? While there are no refunds to payments already made, you can easily cancel your monthly membership at any time. What if I can't make the monthly Moon Ritual calls? No problem! They'll be recorded and emailed out so you can follow along and do your own ritual, when it's convenient for you. How much support will I really get in this program? Lots! Besides the monthly Moon Ritual calls, you'll get unlimited access to me in our private Facebook community. I'll be checking in throughout the week to answer any of your questions or support you through any challenges that pop up. And if you need more personalized or in depth support, you can always upgrade to the VIP membership for $77/month to get a 1:1 session with me (my 1:1 sessions are normally $127). What's the difference between the BASIC membership and the VIP upgrade? With the BASIC membership ($27/month) you get a powerful monthly group Moon Ritual call + support in our private Facebook community + 10% off any of my programs or sessions + access to a growing library of meditation and spiritual resources. you need clarity and support as you navigate a difficult transition, make a tough decision, or are just feeling really stuck somewhere in your life. or just want to stay super supported, and make sure you don't stray too far off your path each month. Can I just drop-in for a Moon Ritual without committing to the monthly membership? For now, sure! This may change in the future. If you want to drop-in on a Moon Ritual without getting all the other benefits of the "Moon + Meditation" Membership, you can purchase a single Moon Ritual here for $37. Drop-in space is limited. And remember, if you become a member, you’ll save $10 and you can cancel your membership at anytime! If you have any other questions that weren't answered above, just shoot me an email at dana@danagarced.com.